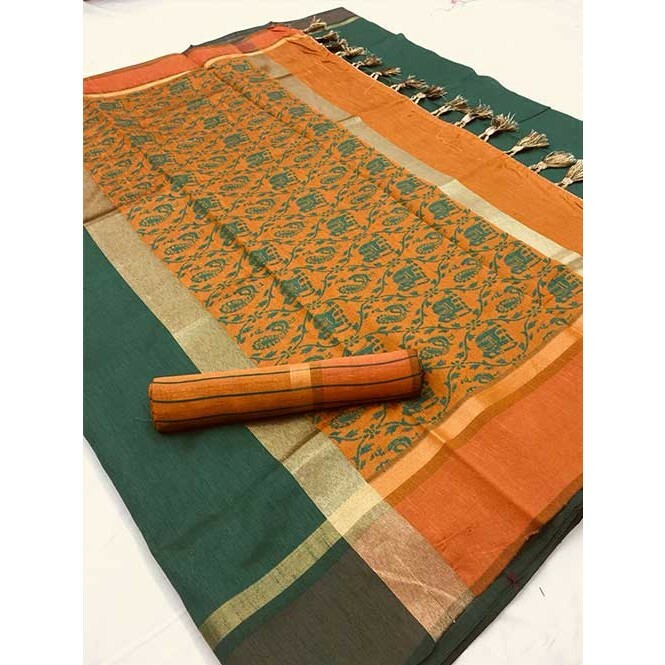 Express your passion for a liberating life with this Green Colored Designer Silk traditional saree with exquisite designs and patterns. The lovely hand-loom weaving work throughout the attire is awe inspiring. 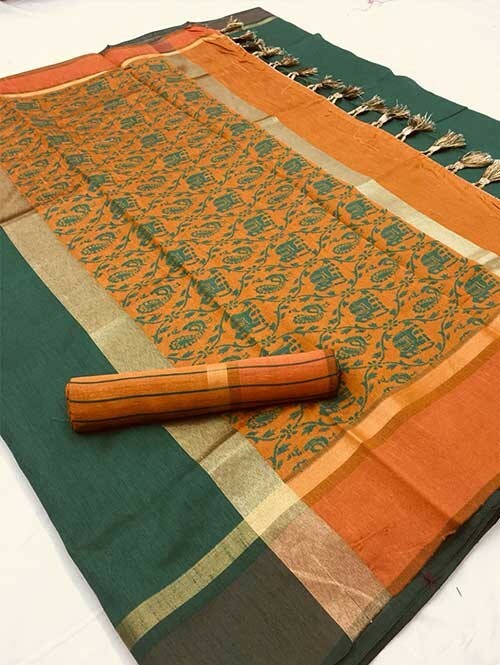 This saree is teamed with matching silk fabric blouse piece in unstitched type. Women can wear this saree for homely events, parties, functions, social meets, special occasions and weddings. Also ideal for gifting purpose. Pair it with traditionally stylish accessories to complete the look. Buy this lovely color saree now.